Each bowl, when flat, measures about 13cm in diameter and about 1cm in height. 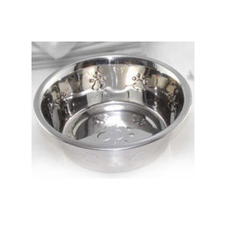 We are the leading manufacturer and exporter of Heavy Pet Dish. This heavy duty and glossy finish dish is used as feeding bowl at home as well as outdoor. They are available in 6 different capacities. This item can be customized as per your requirements. Feed Your Pet in Unique Style. 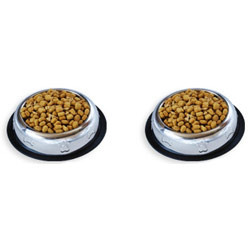 Attractive Feeding Bowl “U Adjustable Double Dinner Set & 2 bowls removable with Stand, reliable and durable pet dish. “U Adjustable Double Diner Stand made up of High Quality Metal pipe with Full powder Coating scratch proof food grade & Printing.